If you are looking for information on the Pop-A-Lock franchise business opportunity, Pop-A-Lock franchises or Pop-A-Lock franchising, then you have come to the right place. Our mission is to be the best Car Door Unlocking, Locksmith and Emergency Roadside Service company in the world. The philosophy of pride in service and customer satisfaction is the mainstay of our business and transcends throughout the Pop-A-Lock® Franchise System. At Pop-A-Lock®, we've built our reputation on fulfilling the needs of our customers in a quick and professional manner. The timeliness, efficiency and reliability of our people are the trademarks of our success. Pop-A-Lock® offers the exciting opportunity to become part of the largest and most successful car door unlocking, roadside assistance, and locksmith service provider in America. We have built our reputation on fulfilling the needs of our customers in a quick and reliable manner. The timeliness, efficiency, and reliability of our people are the trademarks of our success. At Pop-A-Lock®, we've built our reputation on fulfilling the needs of our customers in a quick and professional manner. 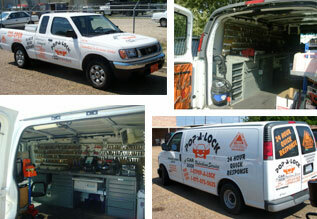 All of our employees must meet uniform and grooming standards and drive properly-marked, well-maintained vehicles. Our distinctive "rescue orange" markings and uniforms help identify us and keep the Pop-A-Lock® image consistent and professional. Pop-A-Lock® was founded by former law enforcement officers in Lafayette, Louisiana in 1991. 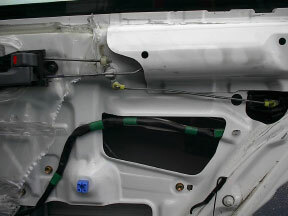 The increasing technological sophistication of vehicle locking and latching systems, combined with the introduction of new features such as side-impact airbags, meant that the old solutions to being locked out - including "Slim Jims" and coat hangers - were no longer adequate or, worse, were likely to damage the vehicle. Pop-A-Lock® introduced specialized tools, extensive technician training, and exhaustive vehicle information as the solution. This specialized service was quickly accepted by the public and by May of 1993 had expanded to Baton Rouge, Shreveport, and New Orleans, Louisiana. The founders began franchising their concept in 1994, and today the system has grown to over 100 locations in 28 states and the District of Columbia.